Denny ran four practices in his Gen6 Toyota Camry at Las Vegas Motorspeedway in preparation for the Kobalt Tools 400. NASCAR gave the teams additional practice because they were bringing their new GEN6 cars to race on a mile and a half track for the first time. 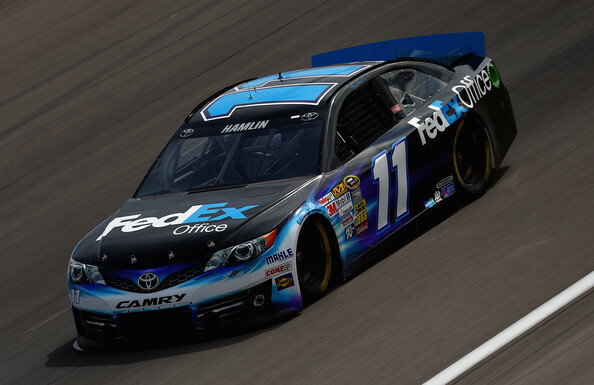 The #11 FedEx Office team worked on a lot of long runs displayed by the amount of laps they ran in their practices. Denny Hamlin will start 6th Sunday after qualifying was rained out. The line up was set by the previous year (2012) owner points. Watch as Denny works his way to the lead on Sunday at Las Vegas.